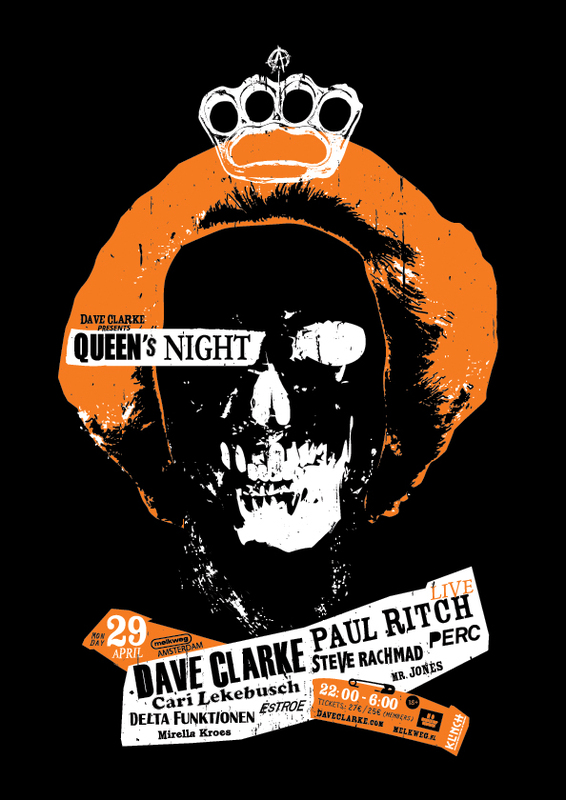 Dave Clarke hosts free Queen’s Night pre-party in Amsterdam! 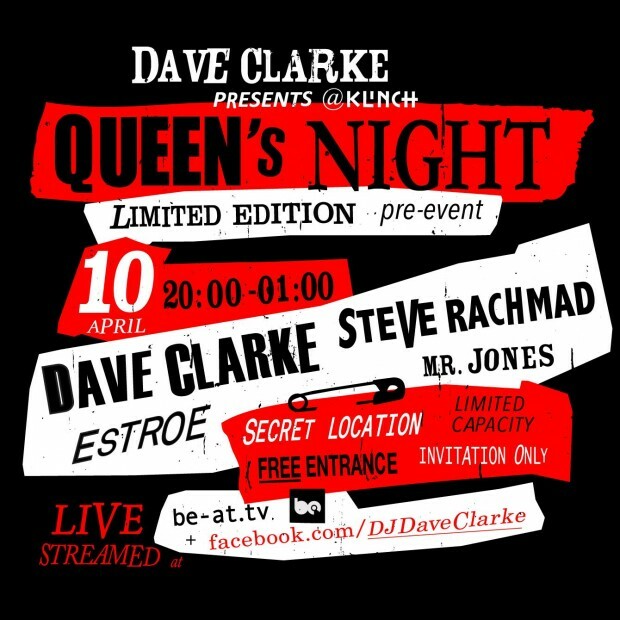 In anticipation of the Queen’s Night edition of Dave Clarke Presents @ klinch (Melkweg) on the 29th of April 2013 in Amsterdam, Dave Clarke will organise a small and very intimate, free entry pre-event for fans, friends and peers. This limited capacity, invitees only event will be held on Wednesday the 10th of April 2013 on a secret location in Amsterdam, The Netherlands. The Baron of Techno has invited Steve Rachmad, Estroe and Clarke’s studio partner Mr. Jones to perform alongside the Briton between 8pm and 1am during this very exclusive night. The location has a capacity of only 150 people and access to this event is solely meant for the die-hard fan. No bling bling VIP rooms or backstage areas, no huge stages, pyro and laser shows: just one room, four DJ’s and five hours of techno and its sub genres. Underground in all its rawness. This pre-event will not be open to the public and there won’t be tickets available in either pre-sale or at the door of the location; you must be personally invited by Dave Clarke to get in.